Julian Assange's confinement to the Ecuadorian embassy in London is taking a serious toll on his physical and mental health, according to medical and psychological reports released by WikiLeaks. The documents – released by the whistleblowing site on Thursday – include a 27-page psycho-social and medical assessment, a physician's report, and a dentist's report. All of the papers are from 2015. The 27-page report, written by an unnamed trauma and psychosocial expert, notes that Assange has been residing in a “usable living space” of approximately 30 sq meters since Ecuador granted him asylum at its London embassy in August 2012. The total size of the embassy is approximately 200 sq meters. In addition to the small quarters Assange has called home for four years, the embassy has no outdoor space. It does not receive any direct sunlight, according to the report. “Mr. 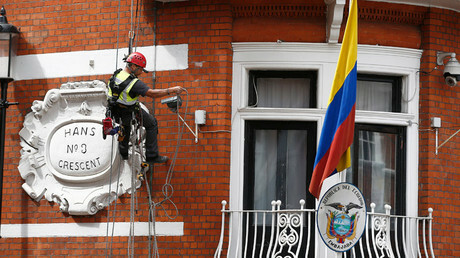 Assange reports that he has made numerous attempts through his lawyers and through representations by the Embassy of Ecuador to be able to access the open air, for example on the roof of the building adjacent to the Embassy, for an hour a day (the legal minimum for prisoners) without risking arrest, but says that British authorities have refused this possibility,” the expert wrote. The report notes that Assange has become sleep-deprived, as he is determined to sleep with “one eye open,” particularly after an incident in which several Metropolitan Police officers allegedly stood outside the embassy, with one officer throwing an object at Assange's window. Assange is also at risk of various illnesses due to his sedentary lifestyle within the embassy, including obesity, cardiovascular disease, and hypertension. In addition, Assange is being deprived of adequate medical care, noting that there has been difficulty finding doctors who will agree to see him inside the embassy. 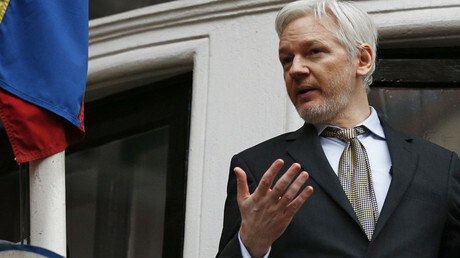 “The reasons given were uncertainty over whether medical insurance would cover the Embassy (a foreign jurisdiction); whether the association with Mr. Assange could harm their livelihood or draw unwanted attention to them and their families; and discomfort regarding exposing this association when entering the Embassy,” the report states. 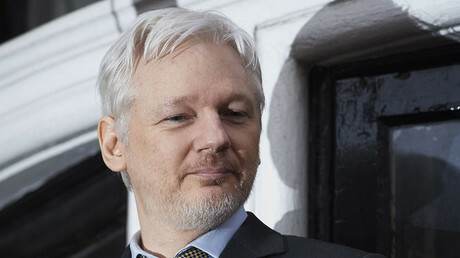 The report also states that Assange is in need of an MRI scan and ultrasound imaging on his right shoulder, as he is plagued with pain which is “severe” and “growing progressively worse.” A December 2015 physician's letter said the pain is “likely a chronic progressive condition” which is likely to worsen without treatment. The UK government confirmed in October 2015 that it had denied a September 2015 request from Ecuador for Assange to be granted safe passage to a hospital, where he could have received an MRI. “The absence of a clear cut diagnosis and standard procedures is causing extreme stress to Mr. Assange, and concerns expressed range from permanent damage to the shoulder/arm to the possibility of cancer,” the report states. The paper also mentions that Assange suffers from “chronic dental pain from a fractured tooth” which he claims affects his ability to sleep and work. It references a July 2015 letter from Assange's dentist, which says he is in need of gingival surgery and root canal treatment or surgical extraction. Such a procedure cannot be carried out inside the embassy. The report notes that Assange is under constant surveillance, and therefore “virtually under a microscope.” The writer called such a situation both “traumatizing and destructive” to his personality. When asked if he ever thought about self-harm, Assange responded that he feels self-destructive on occasion. He did, however, state that he had never acted in a manner to cause himself or anyone else harm. “In my opinion he does have a degree of suicidal ideation, but his children are a strong positive factor, and objectively the risk of self-harm is low,” the expert wrote. The expert recalled their first visit to the embassy, when they noticed that Assange's working space was extremely cluttered. “I commented on the clutter and asked couldn’t he see it? He replied that he ceased to 'see' things in that way, that it all became a blur in the total absence of any novel sensory input. He described it as a shutting down of his visual field in relation to his physical environment,” the expert wrote. In his own words, Assange said: “...The walls of the embassy are as familiar as the interior of my eyelids. I see them, but I do not see them.” He went on to state that it has become increasingly difficult to see how objects relate to each other, or “to grasp the passage of time." The report goes on to note a number of interviewees who said that Assange has become increasingly introverted, and is now an “extremely sad person” who seems to sometimes forget about eating. The writer of the 27-page report noted that Assange's situation has “no end date,” adding that there is “convincing evidence” that indefinite detention causes “severe harm” to the individual being detained. They added that it is “urgent” that Assange's circumstances are resolved as quickly as possible. “Mr. Assange’s mental health is highly likely to deteriorate over time if he remains in his current situation. Such highly stressful circumstances, with no end in sight, can lead to unpredictable and sometimes very destructive consequences for individuals. They may become very ill mentally and physically and carry out desperate acts to try and gain relief,” the expert wrote. “The effects of the situation on Mr. Assange's health and well-being are serious and the risks will most certainly escalate with the potential to becoming life threatening if current conditions persist,” the expert concluded. Assange has been living inside the Ecuadorian embassy in London since Quito granted him asylum in 2012. The 45-year-old is wanted in Sweden for questioning in connection with allegations of sexual assault against two women in 2010, an accusation which he has always denied. Several additional charges against Assange were previously dropped because their statute of limitations were reached. However, the current charge is not due to lapse until 2020. 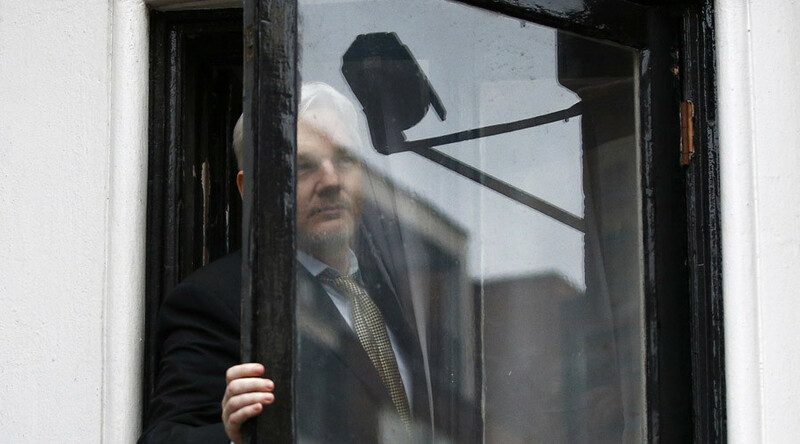 The WikiLeaks founder fears that if he goes to Sweden, he will then be extradited to the US, where he is wanted on espionage charges related to publishing classified US military and diplomat documents in 2010 – a move which amounted to the largest information leak in US history. His legal team believes that Assange is entitled to compensation from the UK and Sweden for having to stay at the embassy for the past four years. “His rights have been violated. His right to protection against arbitrary detention, his presumption of innocence, his right to a fair trial, his protection against cruel and inhumane treatment - all of these rights have been violated, so he should be given compensation,” Taylor told RT.